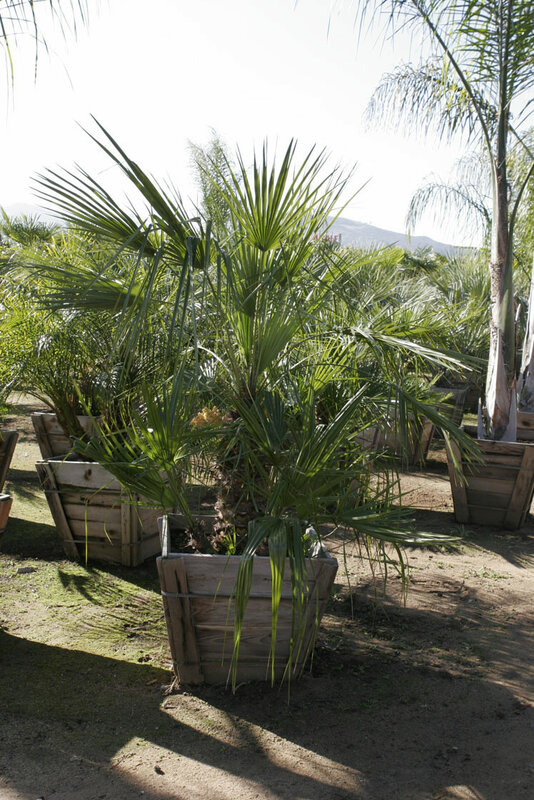 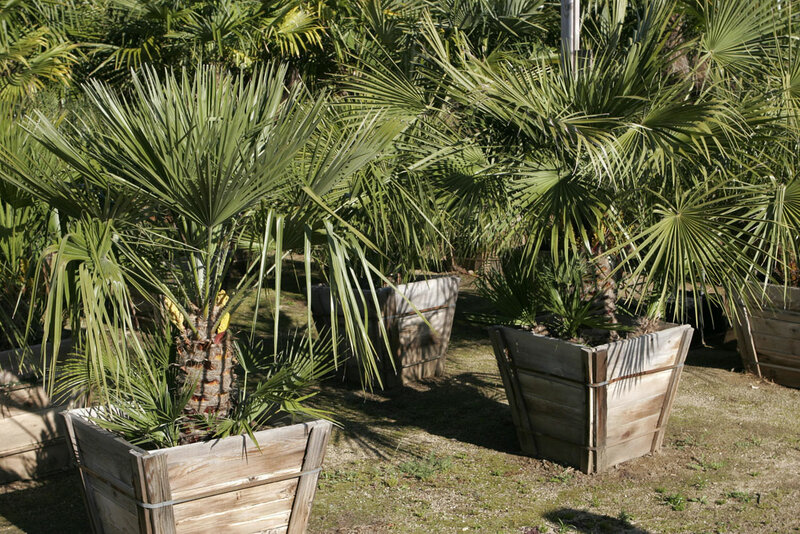 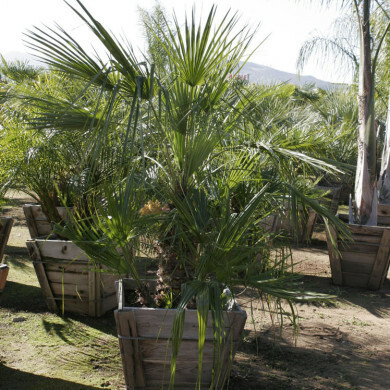 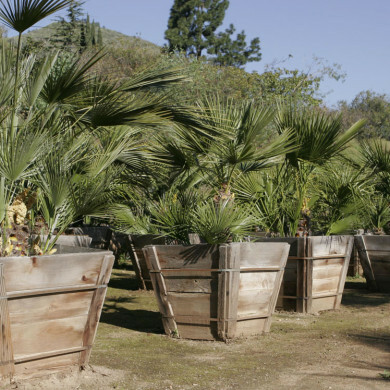 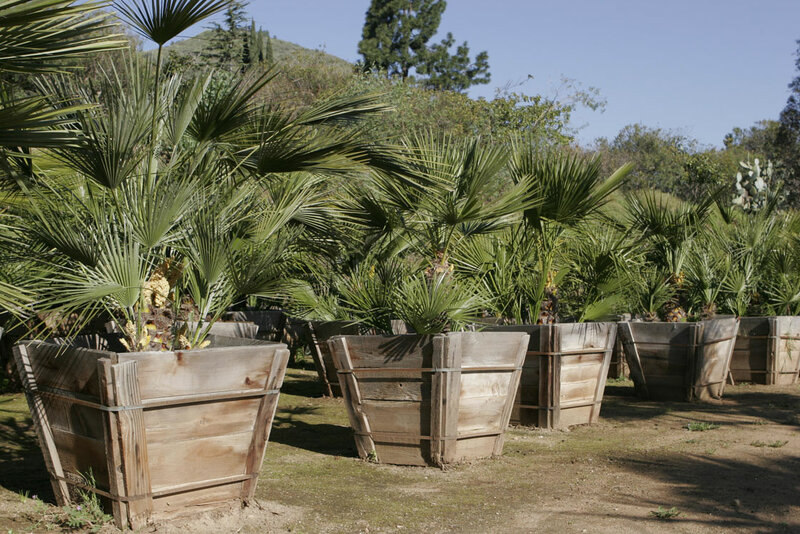 The Mediterranen palm is as versatile as it is beautiful. 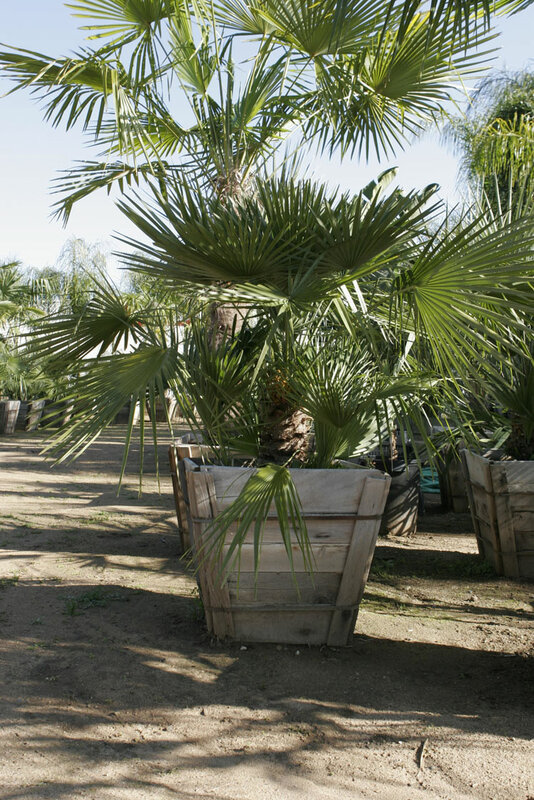 Attractive multi-trunk format with green to blue-green fan like leaves. 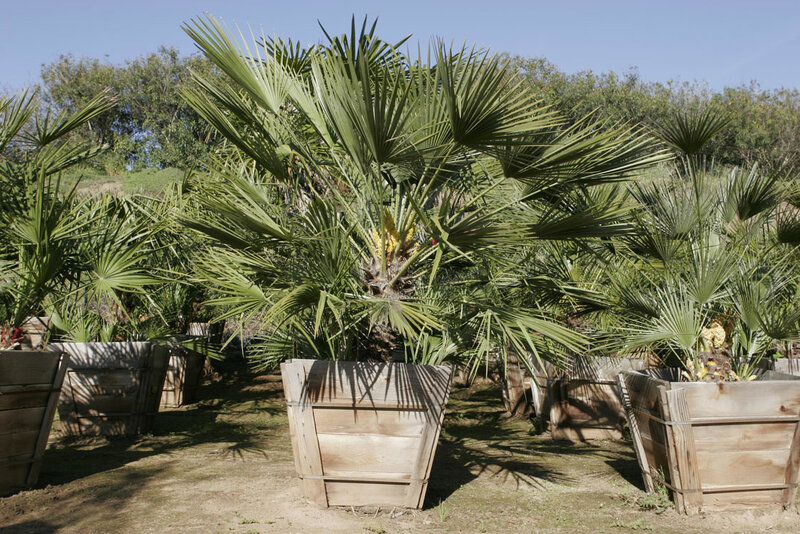 Slower growth. 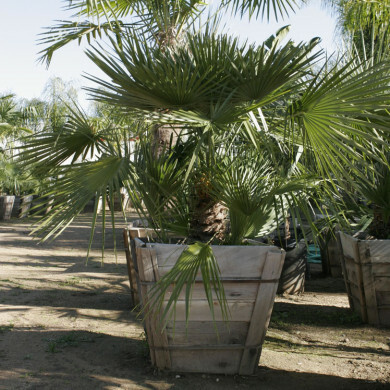 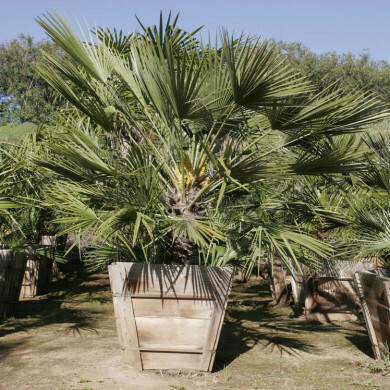 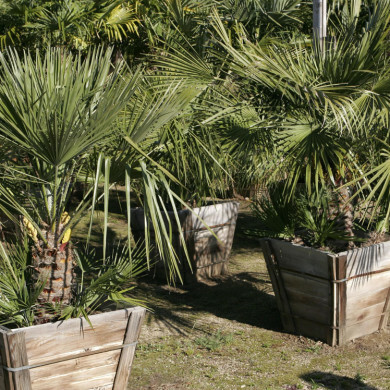 This palm is considered to be one of the most cold hardy palms and will tolerate high temperatures as well as wet or dry conditions. 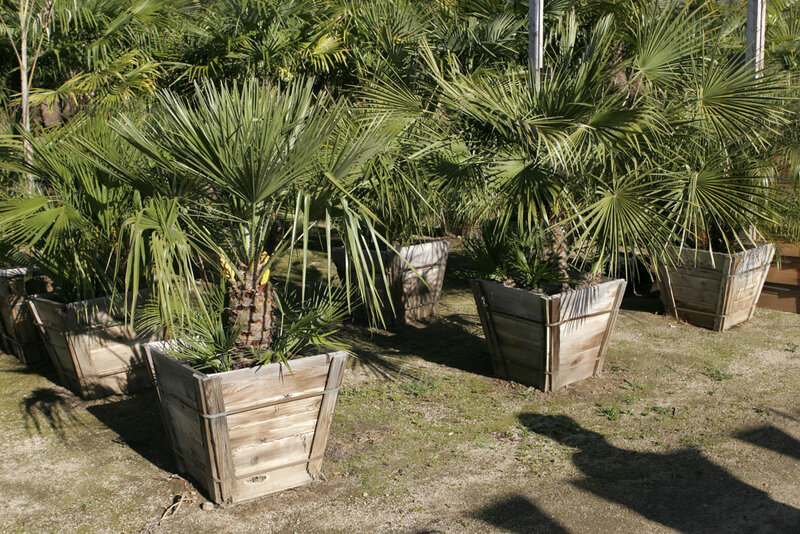 Low water usage required to maintain a beautiful Palm. 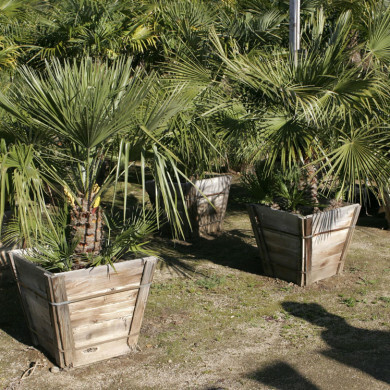 A larger specimen plant with up lighting is an amazing feature plant in any landscape or planted in that hard-to-garden bare corner of your yard or can even grace your entryway.